In what should be a highly auspicious announcement for Midtown Detroit, particularly following recent developments on the new arena for the Detroit Red Wings, Shinola founder Tom Kartsotis has partnered with Detroit-native Jack White to purchase the building that currently houses the Shinola Flagship store at 441 W. Canfield in Cass Corridor. This deal marks a new expansion for both the luxury goods company as well as the former White Stripe’s record label. 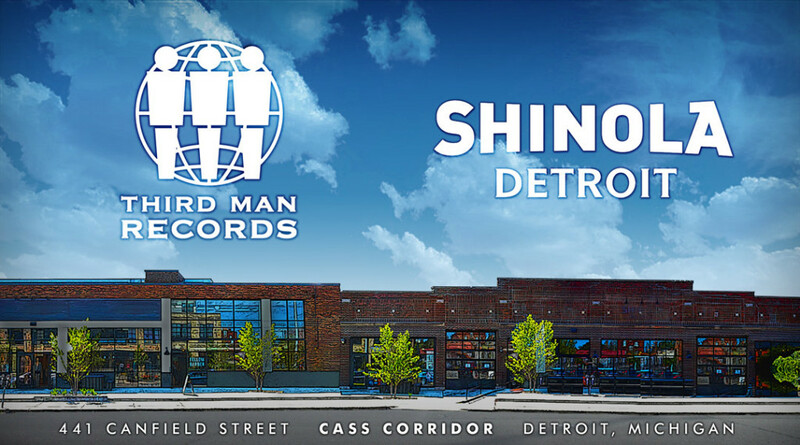 The deal also marks a homecoming of sorts for Third Man Records, as the imprint was originally founded in Detroit in 2001; the expansion signals the opening of their first retail store and offices outside of Nashville. The new retail space is set to be in operation by Black Friday (November 27, 2015), and a press release promises many special surprises in store. For Shinola, the new partnership arrives on the heels of the company’s investment into another category, as it hones in on the ability to manufacture audiophile-quality speakers, turntables, and headphones. At the same time, the brand is committed to creating more manufacturing jobs in the United States.